First of all Happy Independance Day to all you American Readers! As you all know I'm obsessed with American Flag print I've got 5 pairs of shorts, 2 pairs of shoes, 3 tops and a pair of leggings all with the flag print on! These leggings are a recent addition to my wardrobe and I couldn't wait to show you all them! Boots - My 1st WishHow awesome are these leggings?! I am a massive fan of leggings and I always think the brighter the better! 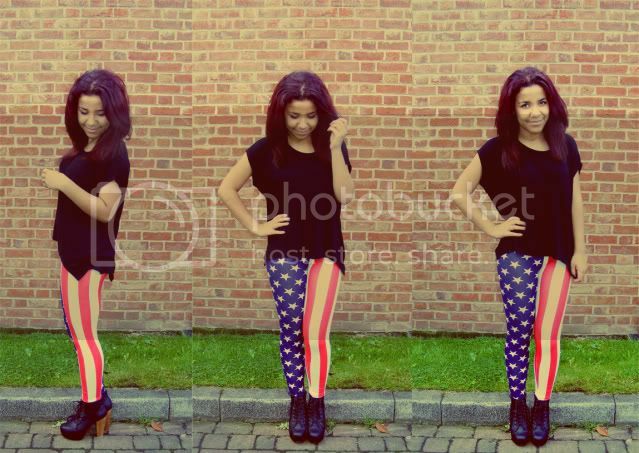 At only £7.99 these leggings are a bargain and who can resist a bit of flag print?! I've teamed these leggings with a black plain tee from Topshop (ultimate style staple) and my favourite boots from My 1st Wish! What do you think of this outfit? Do you like bright leggings? Nice leggings! Real statement piece! £7.99 is a steal for these leggings, you look great in them! I love how there's two different patterns on each leg, it's different. I love all things american too! the leggings look so great on you :) you definitely rocked them! You look amazing in these, you styled them lovely as usual! Love it!!!! Super cute outfit!! You look lovely :) If you have that many pieces of American print stuff alone in your wardrobe, I can't hardly imagine how vast the rest of your clothing collection is! 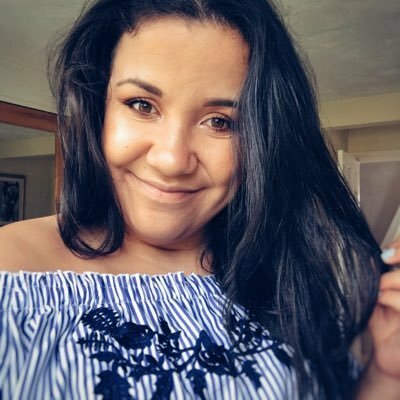 Would love to see some wardrobe snaps! 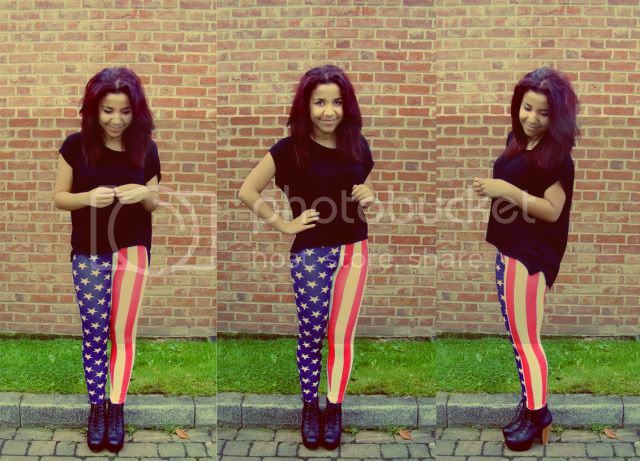 Lovee UK/USA themed things, these leggings are great - have been considering getting some myself. I love a bit of chunky Costume Jewellery and one of my Fav.place is ZAZA.